With the expansion of its OEM certified collision repair program to independents imminent, Subaru has joined the Society of Collision Repair Specialists as its newest corporate member. Lancaster said on a VeriFacts Guild 21 call Nov. 8 that Subaru was telling dealerships it was “‘now or never'” time to join the Subaru network. (Technically, dealerships can always join, but the competition will get tougher soon.) On Monday, Subaru said an email providing a date for independent collision repairers to begin enrollment would come this week. Body shops can email info@subarucertifiedcollision.com to get on mailing list for that e-blast announcement. Independent shops will comprise “most” of Subaru’s certified auto body repairers, Lancaster estimated. Only about 25 percent of Subaru’s approximately 631 dealerships have collision capabilities, and not all of them would make the cut, he said. 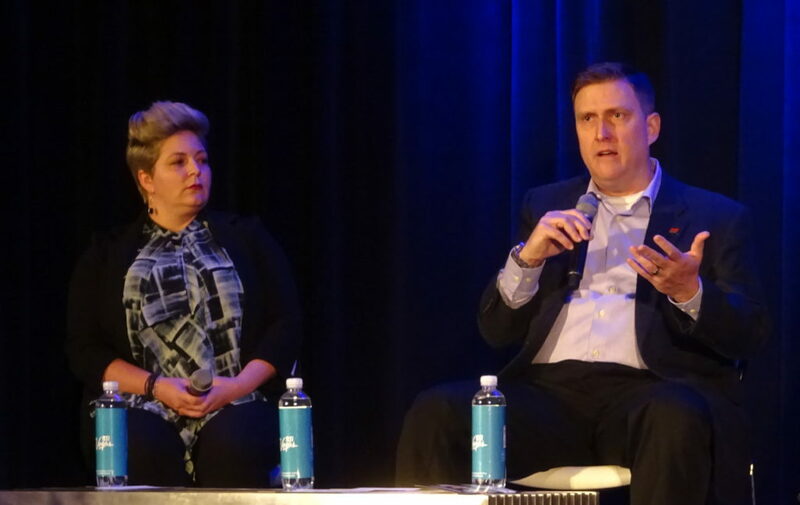 Having deeper ties to the independent collision repair industry seems a logical step for the OEM, which in addition to establishing its own network has an interest in preserving its customers’ safety — and passionate brand loyalty — whenever any body shop fixes a Subaru. SCRS wrote in its news release that its membership feedback helped prompt Subaru to strengthen its position statement on scanning. In October, the OEM declared it “requires” pre- and post-repair diagnostic checks on all vehicles dating back to the 2004 model year. The revised position statement superseded a July 2017 document declaring that Subaru “recommends” the diagnostics operations. SCRS said certified collision repairers receive free access to Subaru’s Technical Information System online repair procedure database. Three-day, month and yearly subscriptions are available for all repairers. “Subaru also prioritizes maintaining current position statements, and providing new positions as technology warrants, to help ensure vehicles are repaired correctly,” SCRS wrote in the news release. 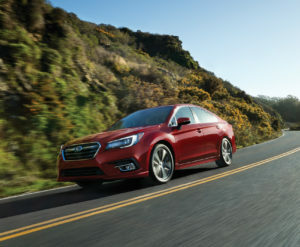 “We’d like to expand our efforts into the collision industry, as well as educate and grow the Subaru family,” Lancaster said in a statement. Subaru also helped teach the industry Nov. 1 during SCRS’ OEM Collision Repair Technology Summit at SEMA, with wholesale parts specialist Nicole Reidel participating as a panelist on “The Future Impact of Telematics, Technology, Transportation and the Collision Industry.” She said Subaru is examining tying its Starlink platform to its certified network, which means the OEM could detect a crash and recommend one of its dealer or independent shops. SCRS’ Subaru news follows similar announcements this year by OEMs Audi and Nissan. Honda, FCA, Ford, General Motors, Hyundai, Mercedes, Toyota and Volkswagen also support SCRS at the highest level, and the auto industry-administered repair procedure portal OEM1Stop is also a corporate member. Repairers, suppliers, OEMs and others seeking information about the various SCRS memberships — which help fund free resources like Repairer Driven News and the Database Enhancement Gateway — should email info@scrs.com, visit www.scrs.com or call 877-841-0660. The organization and its 37 affiliate organizations represent 6,000 collision repair companies and 58,500 professionals. Subaru Technical Information System online repair procedure database.